Though angels have been part of our culture and our history for centuries, they have been forgotten in recent times, diminished to the level of christmas trinkets and the playthings of children. Until recently few would admit encountering angelic beings. 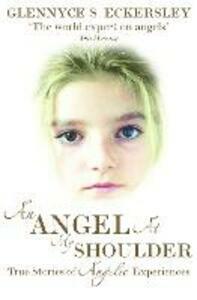 Yet this extraordinary book shows angels are returning - and being acknowledged - once again. Here are true stories of countless ordinary people being rescued by angels, being comforted and healed by them, feeling their presence in the face of death and often appearing to little children. These tales are drawn from such countries as Britain, Australia, Ireland and the United States showing angels can be found all around the globe, helping people and often changing their lives completely. Full of warm and uplifting stories, An Angel At My Shoulder suggests it is more than time to reconsider our view of angels, to let them back into our hectic mechanized world and to realise we are never alone. . .